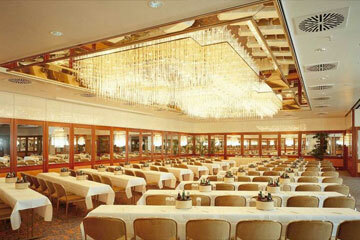 Located in the center of Munich, the Maritim hotel offers its guest high quality services and friendly atmosphere. The set in a quiet inner courtyard, very close to the train station. Nearby guests will find the Oktoberfest, Viktualienmarkt and Pinakothek. Trade Fair Center is 14 km away. Guests will relax in rooftop indoor swimming pool with panoramic view across the rooftops of Munich and the Frauenkirche. 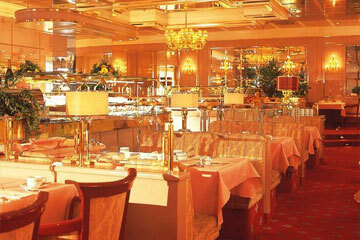 Guests will start a day with rich breakfast buffet served in the elegant restaurant Rotisserie. 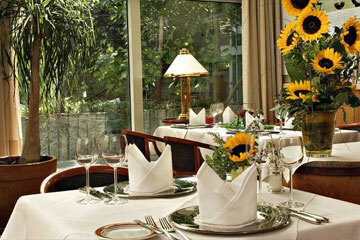 In the Bistro restaurant guests will savor regional and international dishes. 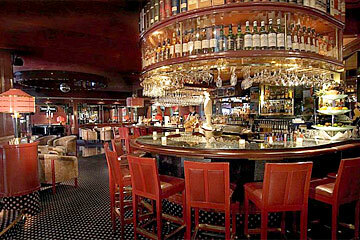 In the hotelâ€™s piano bar guests will enjoy a wide selection of cocktails, whiskies and live music. 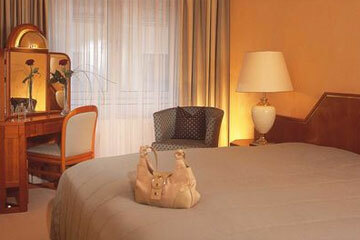 The Maritim Hotel features elegant rooms. Junior suites and suites are more spacious and have also separate sitting area and big bath. 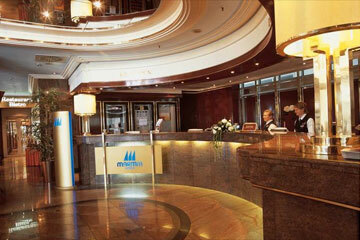 The hotel accepts the following credit cards: Visa, MasterCard, American Express, and Diners Club. The below mentioned rates are already discounted, 10% in comparison to the rates offered by the hotel. These rates are only available if the reservation is made through this website. Prices include use of swimming pool, sauna, services and VAT. The rates in USD change according to the EURO (â‚¬) rate of exchange. Cancellations can be made 4 days or earlier prior to the guest's arrival to the hotel without any charges. Later cancellations or no-show will require charging for the first night. During fair periods other cancellation conditions will apply. The hotel is located in the city centre, 35 km away from Munich Airport, 50 m away from the Main Train Station, and close to the fairgrounds.